Still, one of my favourite travel experiences was driving along the coast of northern California right down to the south, and you know what, it still surprises me how much one state can change so significantly from north to south. 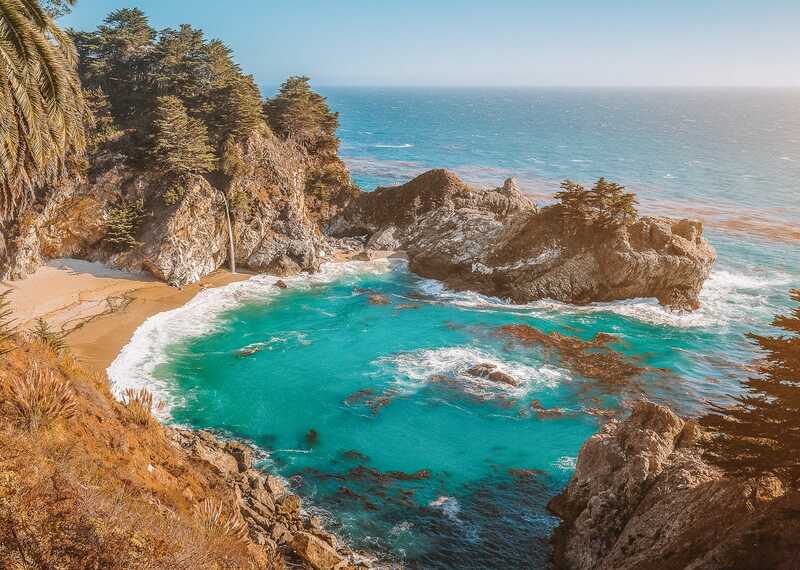 Anyway, before I ramble and reminisce about my road trip across California, I wanted to share some of my favourite and best beaches in California that I’m sure you’ll love. Yes, some of the beaches are pretty well-known (so expect a crowd) but others are a little away from the trails and totally idyllic. You’re going to love them. is famous for its gorgeous sands and stunning rock formations. Also, keep an eye out for the purple-y coloured sands, you will be amazed when you see this colouration that’s caused by the run-off rainwater from the surrounding cliffs. It really is unique and totally is up there with the best beaches in California. 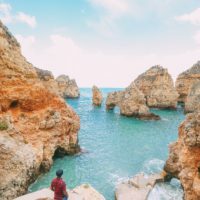 Take your camera for some amazing sights among the towering formations of rocks and the crashing of waves for this beach is a paradise for photographers. 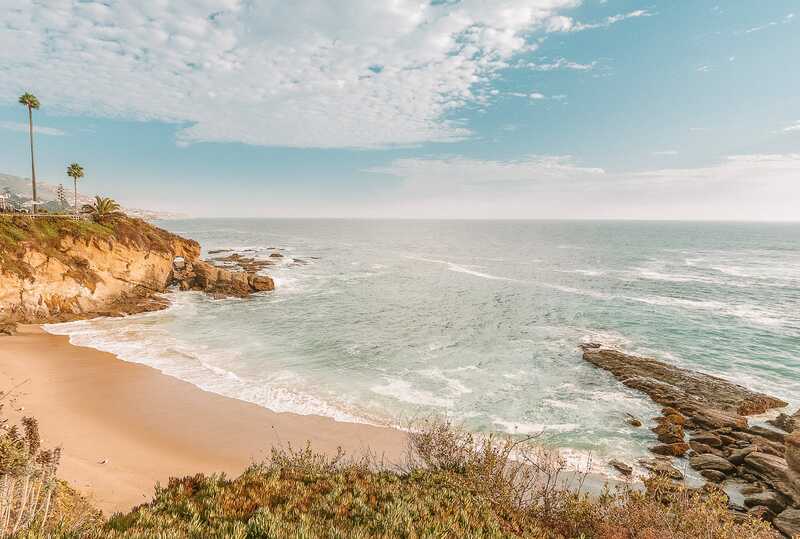 This beach is not for swimming, but for climbing over the rough terrain, taking in the views or having the appearance of being lost in the wilderness, well it is a long two-mile hike to Highway 1. 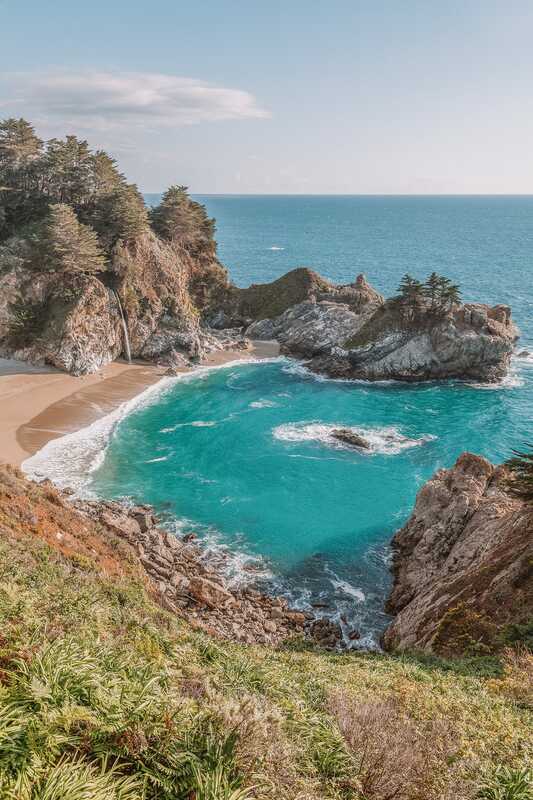 If you would like to stay here overnight you really should try to book one of the luxury wooden cabins for hire at Glen Oaks Big Sur, it is just 15 minutes away from this beach. 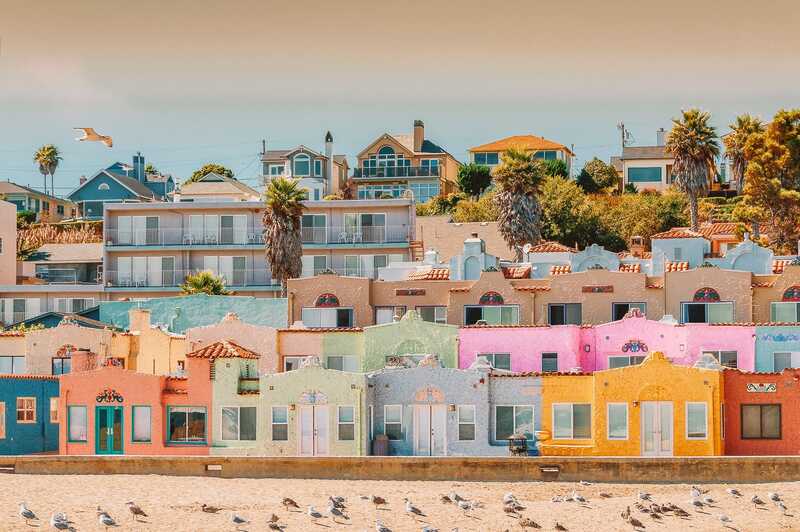 Perched on the north end of Monterey Bay, Capitola Beach is one of the best beaches in California that’s also got a lovely (and totally colourful) seaside vibe. One of the best things about Capitola Beach is that it’s much more intimate and smaller than some of the other beaches in Calfornia. Once here, pop into one of the local stores and rent a boogie board – it’s so much fun. For a tasty bite to eat, head over to Paradise Beach Grille. Just go there hungry, the portions are big! 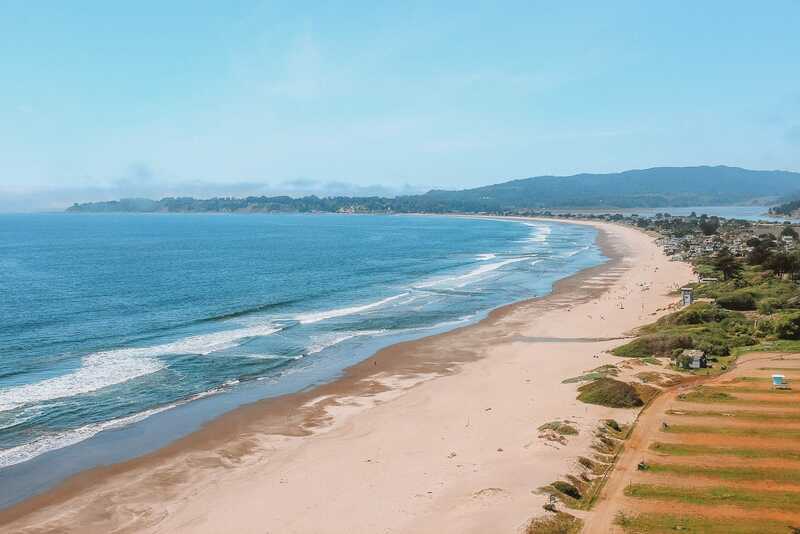 Stinson Beach is a mere 20 miles north of the city of San Francisco and two and a half miles from the secluded (and totally lovely) Bolinas Bay. 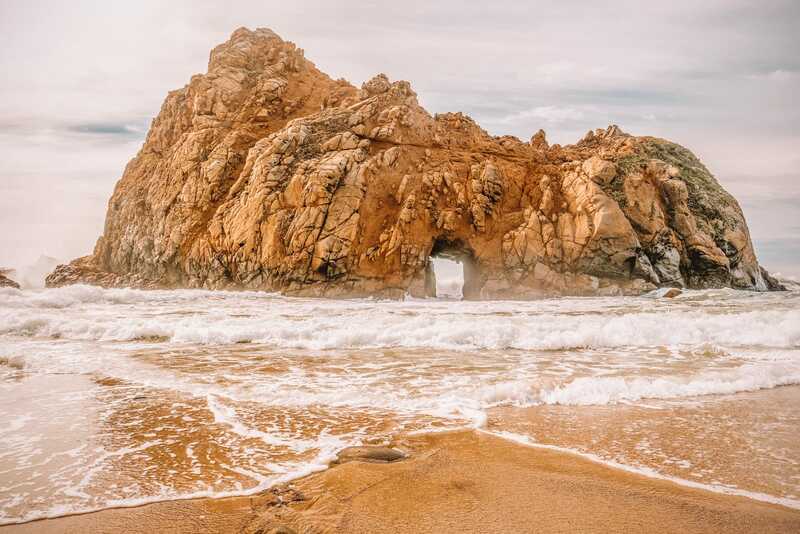 Once here, make sure you take a dip in the ocean as it’s highly rated as one of the best beaches in California for swimming. If you’re more of a rambler, then take the California hiking trails from the beach lead you to Mount Tamalpais State Park. If you visit in June you can watch or even compete in the USA’s oldest trail race the 7.4 miles long Dipsea Race, which looks totally fun and exhausting in equal measure. 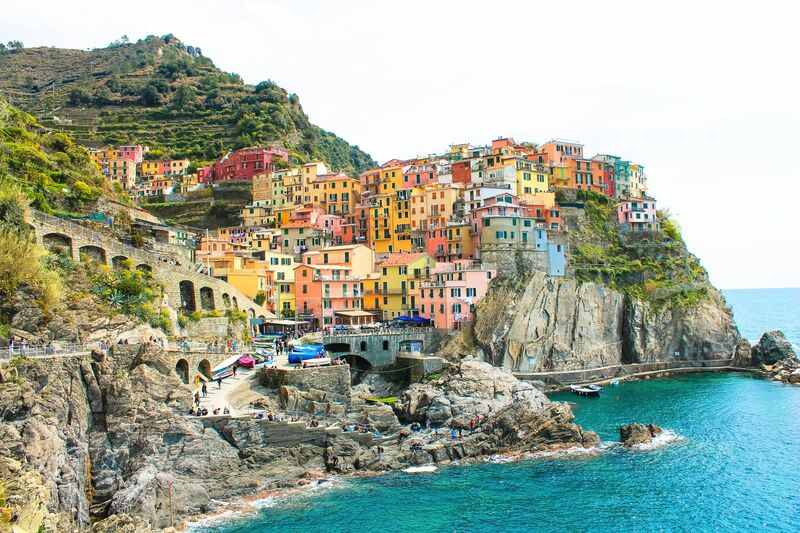 For a great place to stay, head to the gorgeous Hotel Triton, it’s literally so beautiful. Colorado Beach is one and a half miles of silvery sand beach just ten miles north of the Mexican border. Once here, you can learn to surf at the beaches Surfing Academy, take a leisurely stroll across the Coronado Heritage Walk, or rent a surrey along Ocean Boulevard. From Coronado Island, you can watch the sand sculptors as they create some epic art. If you arrive here in December (approximately) you’ll also get to watch the whales as they are close to the beach until, around, February. 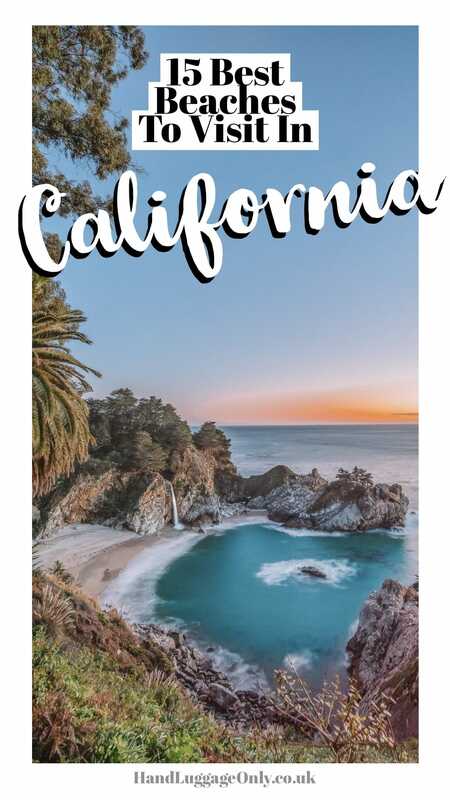 It’s so incredible to see and really makes this one of the best beaches in California for some sun, (hopefully) seeing some whales and lots of ice cream. Just don’t forget your binoculars! 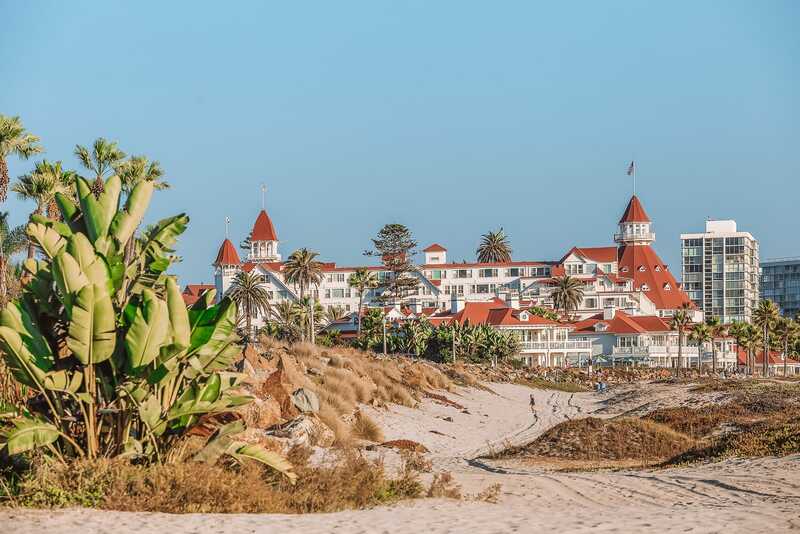 Oh, also, opened way back in 1888 is the Hotel Del Coronado that’s right on the Californian coastline that you’ll love. 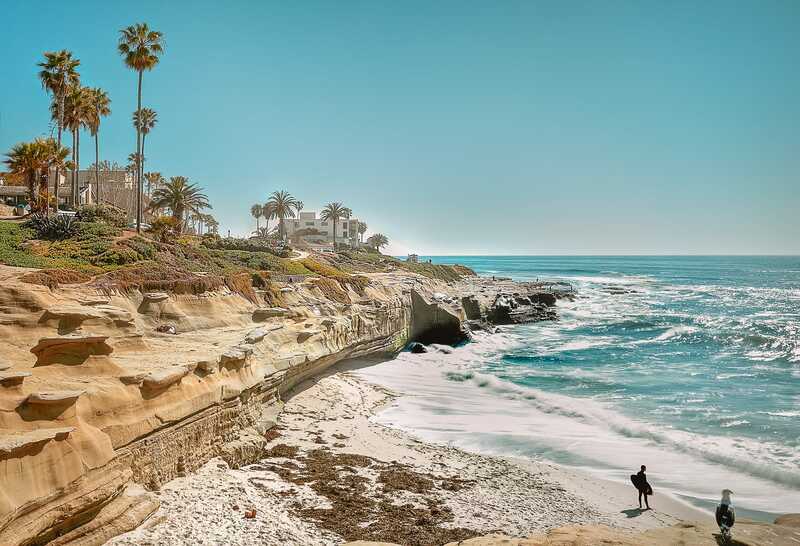 La Jolla beach is a small crescent-shaped beach tucked into towering cliffs of sandstone on the California coast. 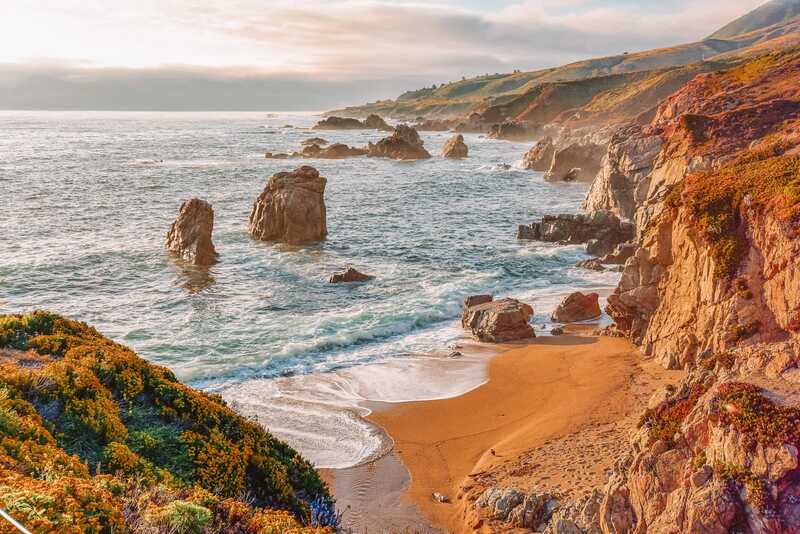 The cove is small but soooooo picturesque, making it one of the best beaches in California if you love dramatic coastlines. 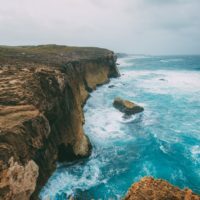 Oh, another thing, some of the best things about this beach are actually hidden below the surface, it’s excellent for scuba diving and snorkelling (in the right conditions). Just make sure to always listen to local lifeguards and snorkel responsibly. Okay, now for me, this has to be one of the best beaches in California, hands down! I mean, I still remember my first visit and how awe-inspiring it was to see. I literally fell in love with it then and there. Now, yes it can get totally crowded, but if you plan your visit right, you’ll be part of only a handful of people there. one of the best things to do is head across early in the morning if you don’t like crowds. As of March, you couldn’t actually get down to McWay beach (due to unstable conditions) but I’m hoping this gets lifted really soon. 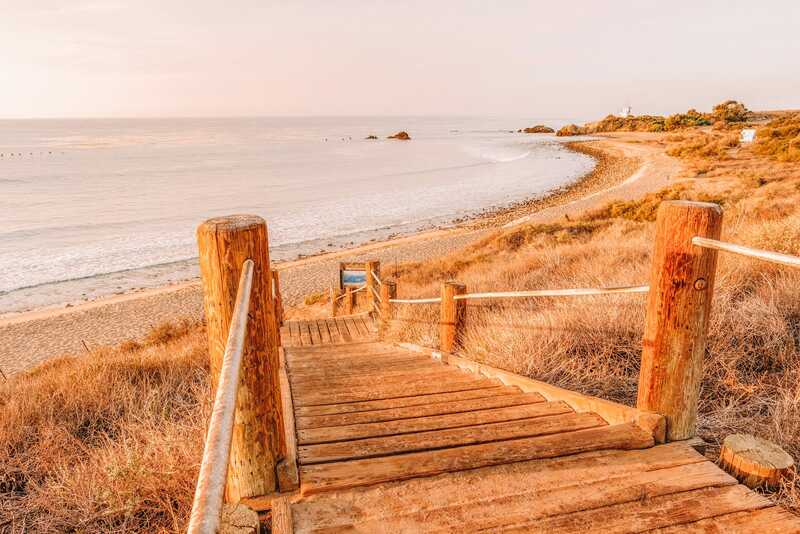 If you’re driving from Monterey, make sure to enjoy the hiking trail at Partington Cove (that’s just north) and watch a gorgeous sunset at Andrew Molera Beach (if you fancy it). 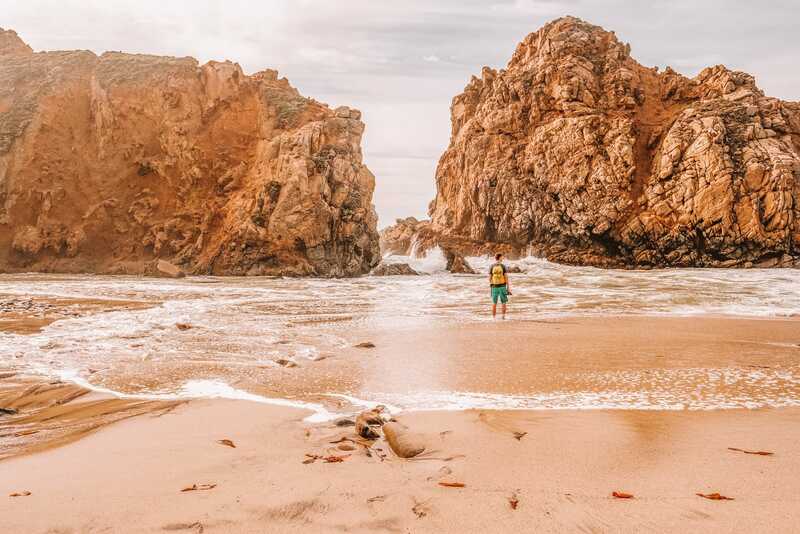 Consisting of a whopping 1.5 miles of sand, Lea Carrillo Beach is one stunning place to visit if you love a windsurfing, exploring tidal pools and caves and seeing the giant sycamore trees that line the coast. Perched just off the Pacific Coast Highway (Highway 1), it’s a gorgeous spot to visit if you’re in the Santa Monica area. You do need to pay for parking here, but the charge is about $12USD for a whole day. It’s one of the best beaches in California for camping, too (well, just off the beach, in designated areas). 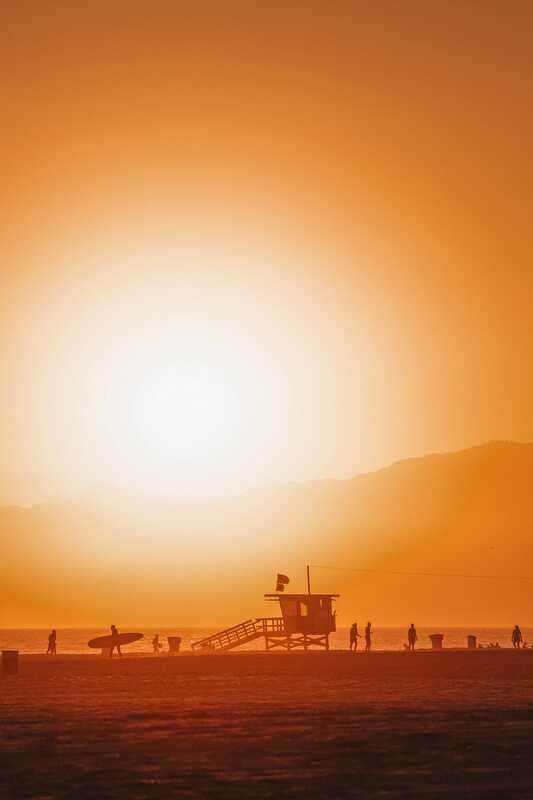 Newport Beach is one of the best beaches in California to spot a great sunset. I know, I know… all of the California coasts is westerly facing (meaning it’s great for a sunset) but there’s something about this beach that makes it so special. 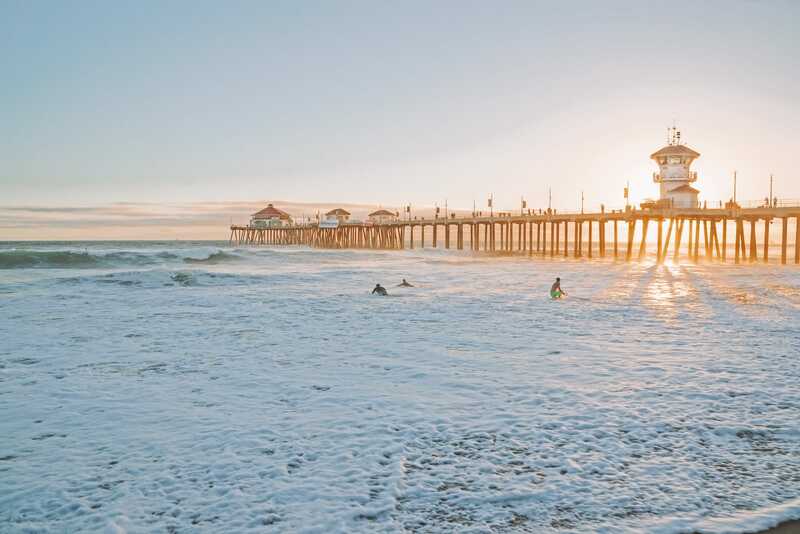 The wide stretch of 5 miles of silky blond sand begins at Newport Pier and goes south all the way to Balboa Pier. Here as you walk along the sand you can watch the surfers catch some waves. 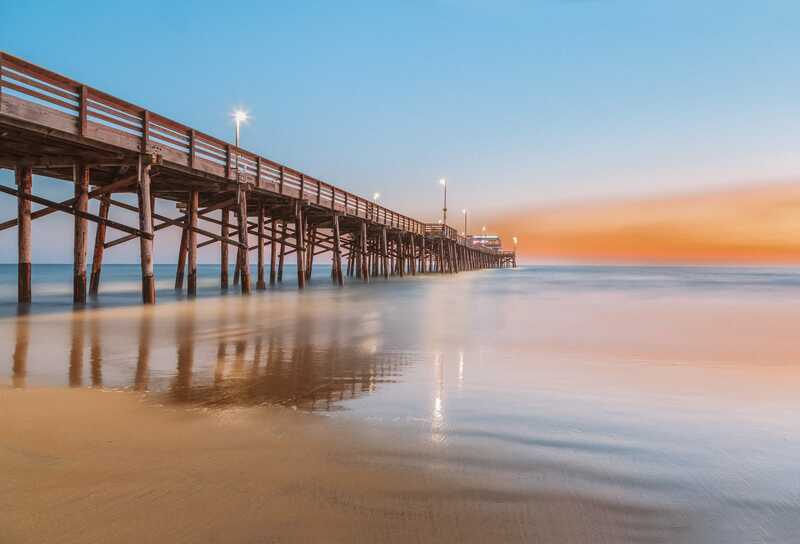 If that’s not your thing, head over to the historic pier and lifeguard stands that totally take you back to an earlier time; all you need is the backing of a Beach Boys song and you’re done! 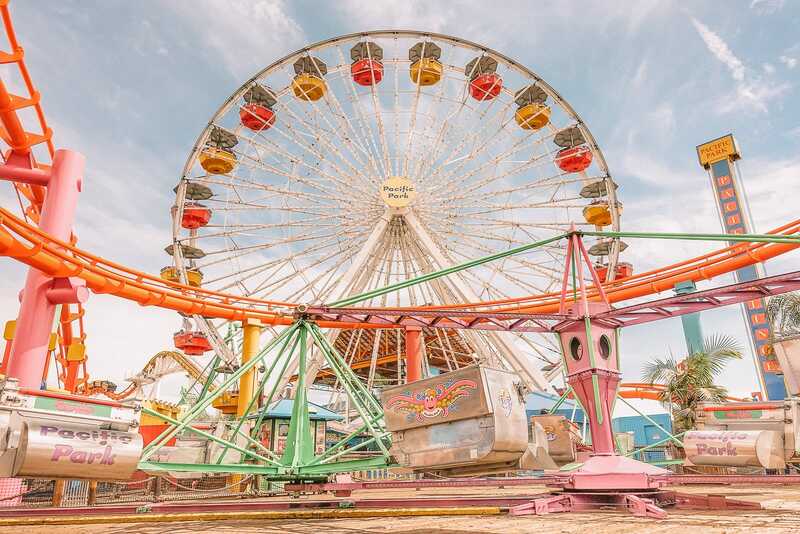 Oh, and make sure to walk around the harbour area and see the Balboa Island Artwork that happens around May and take a look at the Resort At Pelican Beach, it’s a lovely (and totally plus spot) to stay at. 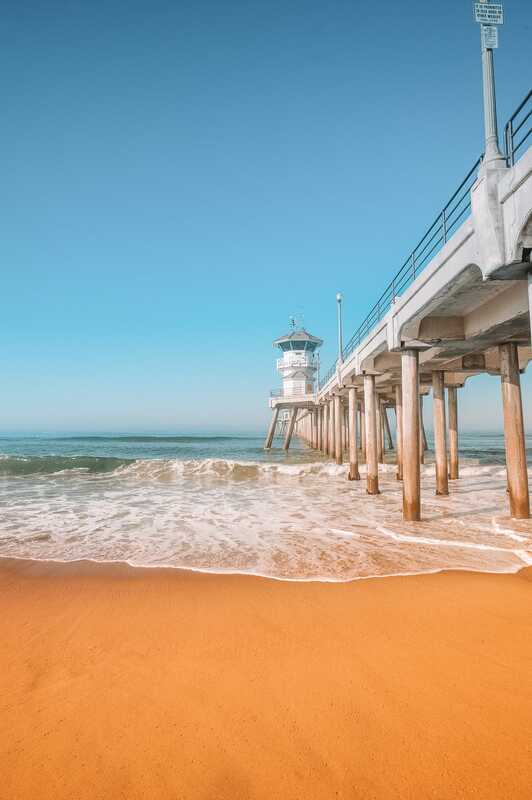 Not only is Huntington Beach totally gorgeous, it’s been awarded as one of the best beaches in California, and within the whole of the USA (in 2016). 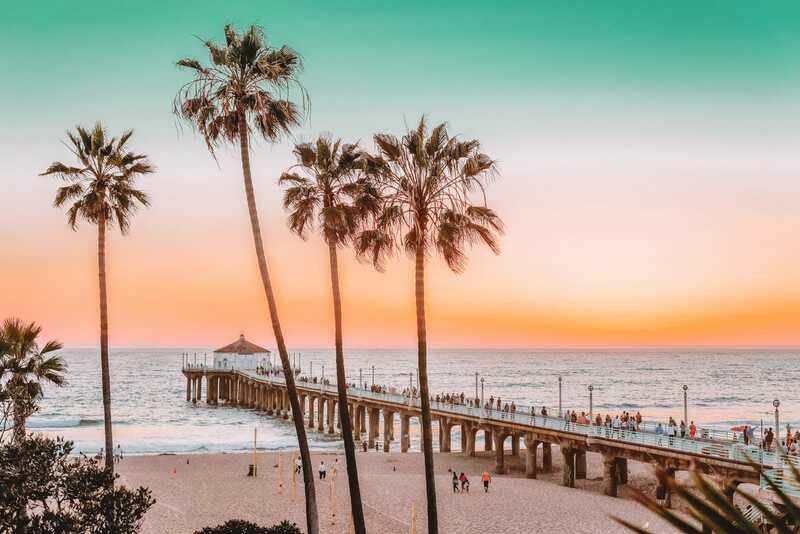 Located to the south-east of Los Angeles it begins at Beach Boulevard and stretches two miles to the Santa Ana River Channel that is amazing just after the midday heat. If you’re travelling by car, there’s is a continuous parking lot that extends behind the entire length of the beach that backs onto the Pacific Coast Highway so access is not a problem. One of the biggest attractions of this beach apart from it’s surfing is the fire rings that allow us hungry visitors to cook our own BBQ on the beach. Locals tend to make a day of it, so it does get pretty packed on the weekends. Just remember, the beach is closed at 10 pm (though, I never really knew a beach closed before this). If you’re looking for a gorgeous hotel, pop into the Waterfront Beach Resort. 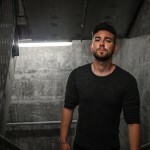 So, Venice Beach probably needs little introduction and is one of the most famous and possibly one of the best beaches in California. One of the things that set Venice Beach apart from the other California beaches is that all action isn’t just centred on the water but on all the things you can see, do and eat around the coast. Make sure to take some time to stroll or cycle the area (with an ice-cold shake in hand), prepare to be entertained at the 3-ring urban street circus and pop into Small World Books (it’s a bookworm’s dream). 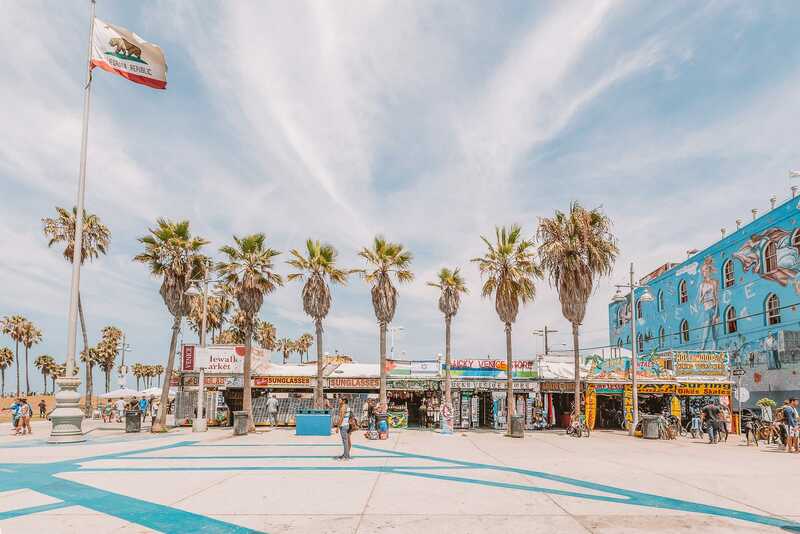 Just don’t forget to leave Venice Beach without a stroll along the Ocean Front Walk. It’s a concrete boardwalk, three-quarters of a mile long full of kitsch little stores, flea markets and some totally tacky (But somehow so cool) shops. don’t forget Manhattan Beach, too. For a great spot to rest your head, book into the gorgeous Marina Del Rey – which is about 1-mile away. 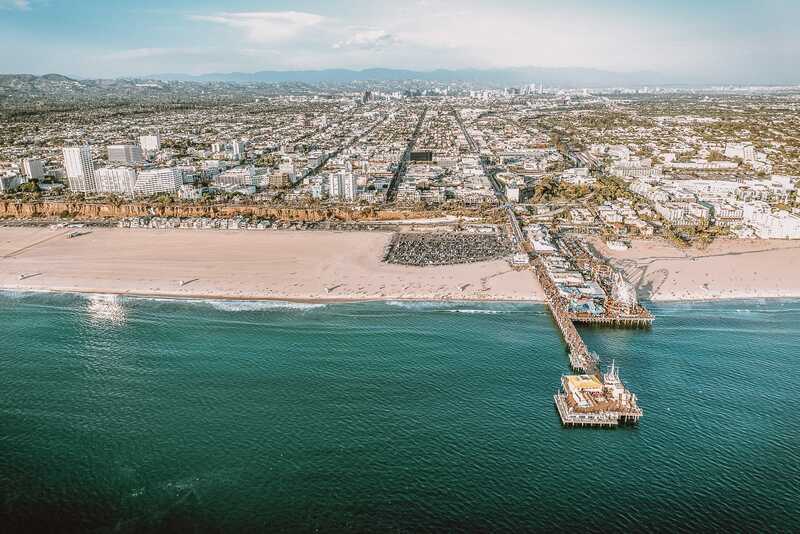 Santa Monica Beach has more than three miles of soft, powdery sand that you’ll love and is also a popular surfing spot between the Pacific Palisades and Venice Beach. In the centre of the beach is the whopping, Santa Monica Pier. Here, you’ll find the Pacific Park amusement park, which is so much fun, I can’t tell you enough! Make sure to ride the Ferris wheel at sunset, too… this alone makes it one of the best beaches in California to enjoy at sunset. Santa Monica beach is a total foody spot, too. So whatever your favourite food is; American, Mexican, vegetarian, seafood, pizzas, grills or juicy burgers you are sure to find a local haunt you’ll love. One favourite spot has to be The Lobster, who serve up (you guessed it) some mouth-watering lobster dishes. For a great spot to stay, head to the Casa Del Mar, which is right next to the pier. Perched in South Laguna, Thousand Steps Beach is possibly one of the best beaches in California that’s totally accessible. The beach is rarely too busy and a great location for exploring. Possibly one of the biggest draws is a large cave at the southern end of the beach. When the tide is out you can walk all the way through this cave to an adjoining beach, Totuava Beach that is only accessible at low tide. Though, as always, be really careful with tides and listen to local, informed, advice. Make sure to head along 9th Avenue and Coast Highway to get to the beach but ensure you park legally as the local police enjoy issuing tickets! Across from 9th Avenue is the beach access point which leads you to the stairway. Do not worry the 1000 steps is not the actual number, it’s actually about 223, but when climbing back up it may feel like waaaaaay more. Also, to find the tower on Victoria Beach (pictured), head north end of the Beach. 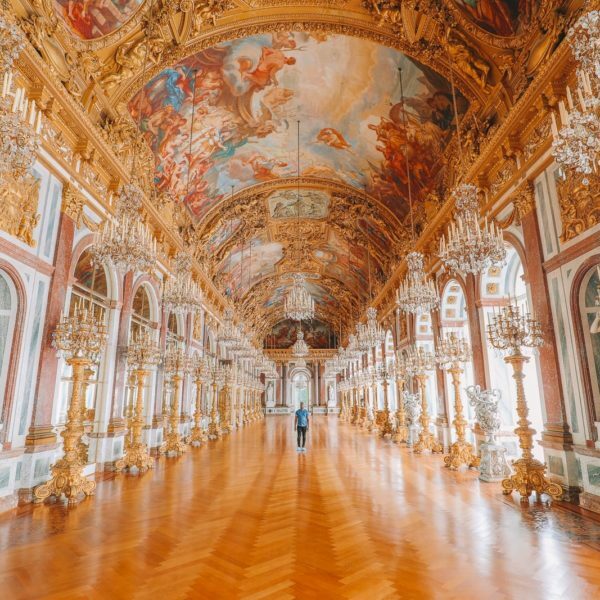 The tower is privately owned, but that doesn’t mean you cant go and see it at the very least. 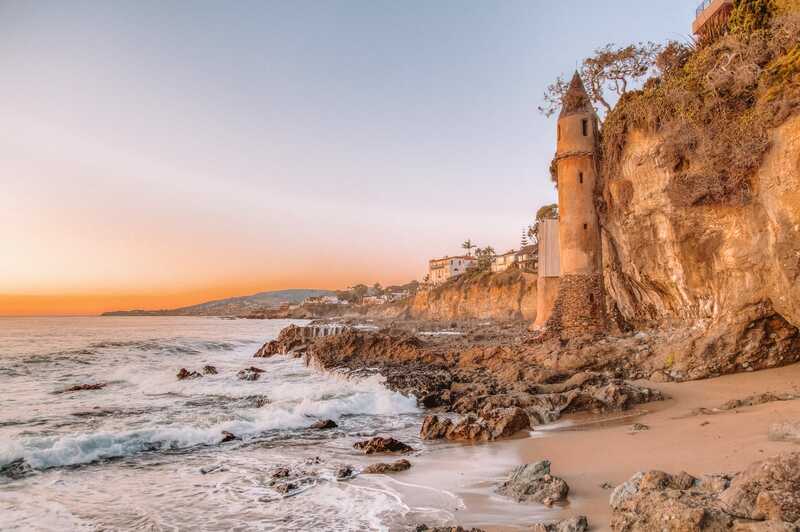 The beaches of Santa Barbara are situated along the Central Coast of California and a totally gorgeous spot to visit. 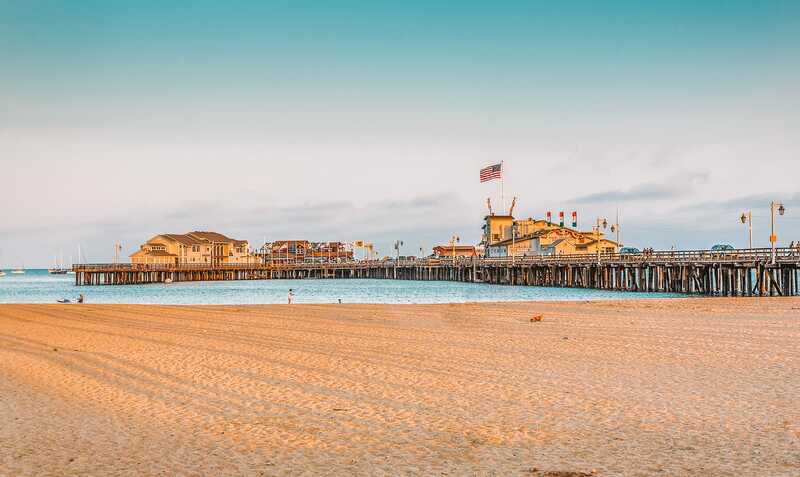 Here you will first find the West Beach in Santa Barbara, in particular, that you’ll love, that’s just adjacent to Stearns Wharf, California’s oldest wooden working wharf, which easily makes it one of the best beaches in California for a little slice of history. 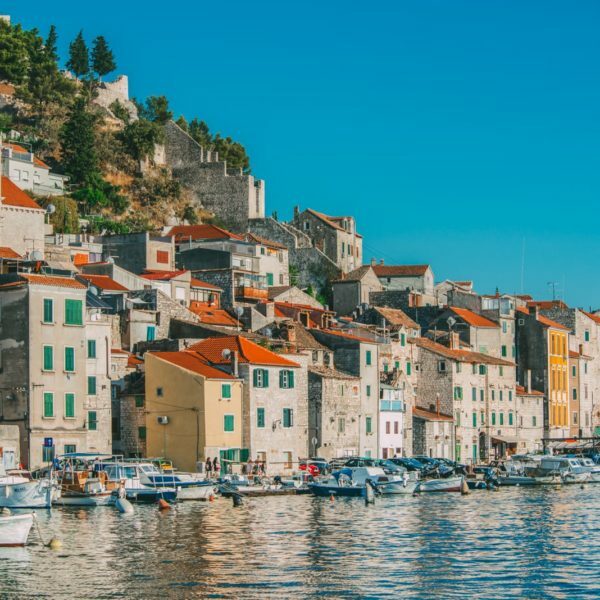 One thing to note, be prepared for a more lively beach, with plenty of shops, a museum, restaurants and even a fish market on the wharf. Though, if you’re looking for a more peaceful beach, you might wanna skip this one. Adjacent to the beach is a cycle path to the campus of UCSB and on to the Butterfly Beach where you can try your hand at rollerblading at Skater’s Point or just walk along the waterfront (I’m still terrible at this). For a luxurious spot to stay, check in to the Hotel Californian. It really is stunning. Ocean Beach (and the nearby, Baker Beach) in San Francisco was one of the very first Californian beaches I visited (and one that I fell in love with straight away). 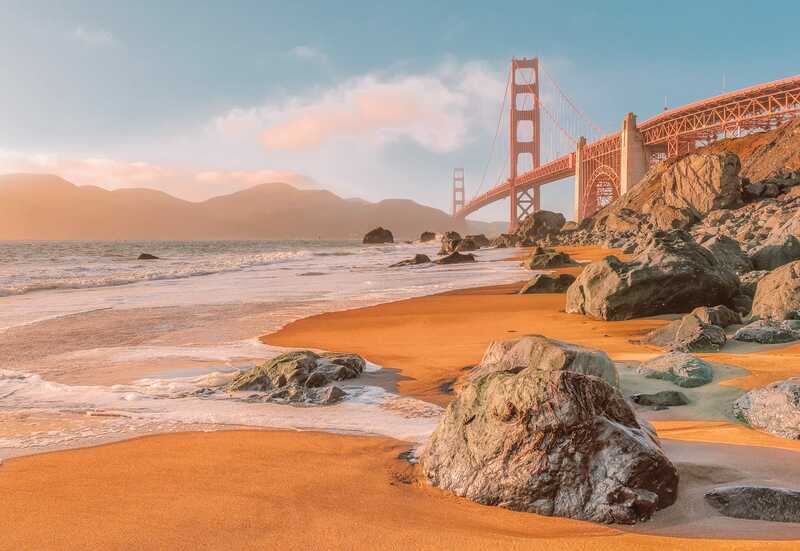 Yes, it can get a little breezy and the weather can be temperamental in San Francisco, but hey – that doesn’t make it any less gorgeous and one of my favourite and best beaches in California. For me, Ocean Beach is great at sunset, which you can watch with the Golden Gate Bridge in view. Wrap up warm in the winter months and be really careful if you decide to go in the water, the currents are very strong and it’s not always advisable. For a great spot to stay at, pop into the Tilden Hotel (that’s so sumptuous) and in the city centre itself. Carmel Shore beach just goes on and on, it’s huge and one of the best beaches in California if you love a more rugged and unspoilt natural beach. If you want to enjoy more of the park, head over to Monastery Beach, also known as San Jose Creek Beach that is so pretty. Just remember, swimming and paddling are banned in this area due to the unstable currents and strong waves. If you need more information on staying safe in the ocean, check out this guide.